Nissan is now one of the largest producers of motor vehicles in the United States. The operations that are now in place have created more demand for import cars. Part of the success that Nissan has achieved comes from its excellence in parts manufacturing. The various parts used including Nissan transmissions are meant to impress vehicle owners. Preowned Transmissions supplies one of the largest import gearbox inventories. Nissan is known for creating multiple transmission types. This is mainly due to an effort to secure its place in the global auto market. While some companies continuously develop one type of technology, Nissan and its Jatco division have helped progress transmissions technologies. Most of the Jatco builds are automatic, manual or continuously variable gearboxes. Each of these types are part of the inventory that is shippable here. Sentra, Altima, Maxima, Rogue, Xterra, Pathfinder, Quest, Frontier, Titan and Versa are a small portion of the units that can be purchased here. The development of luxury, passenger and performance cars has made it easier to introduce different transmission styles. The CVT gearboxes now produced by Jatco are in use in more than Nissan vehicles in the world. The builds featured on this page are preowned and certified before shipment. The growth of Nissan in the parts industry has been recognized by more distributors in the past two decades. It is now simpler to find the latest models that are produced each year. One way that the PreownedTransmissions.com resource is different is by including out of production inventory. A person who cannot find a gearbox for sale in a particular build online usually uses this resource to find a match for shipment. 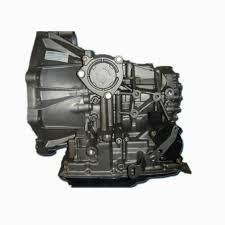 A gearbox is simple to purchase here online. Everything starts with a request for a price quote. The auto industry is a huge in the U.S. and prices always vary. It is for that reason that quotations are provided instead of online sticker price listings. There is a unique tool that takes the place of customer service on this resource. Inputting the Nissan year and vehicle inside the quotation tool will always present the most accurate prices. A person who is not currently using the online quotes method can still call by telephone. A staff of helpful experts contribute to the phone quotes generated daily. Any information that is essential to a Nissan brand gearbox can be obtained during a phone call. The distributed quotes do not require any information collection. This makes it easy for a person who is comparing different prices to move quickly to review the low prices offered.